Gorgeous outfit, you have such great style! 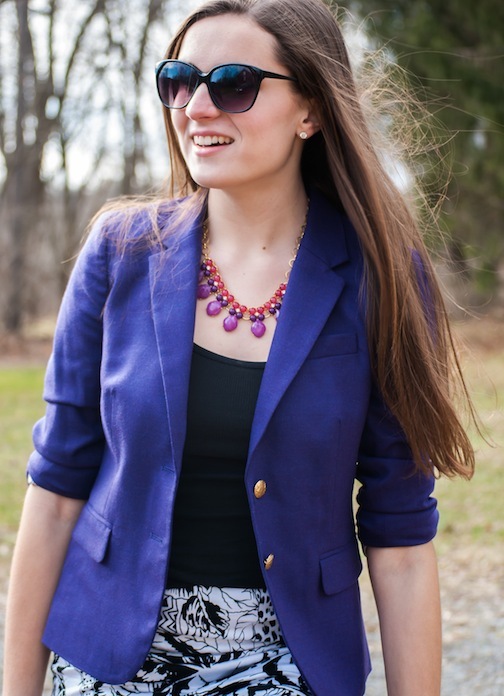 The plum blazer is perfect with the statement necklace! nice outfit. 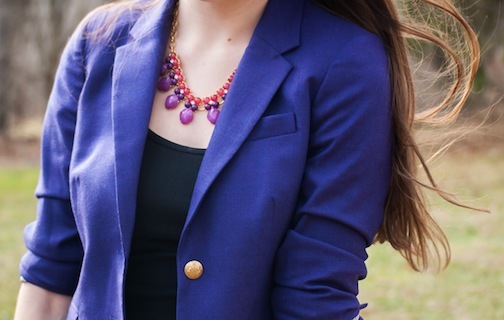 love the pop of purple. THANK YOU so much for your comments on my blog! 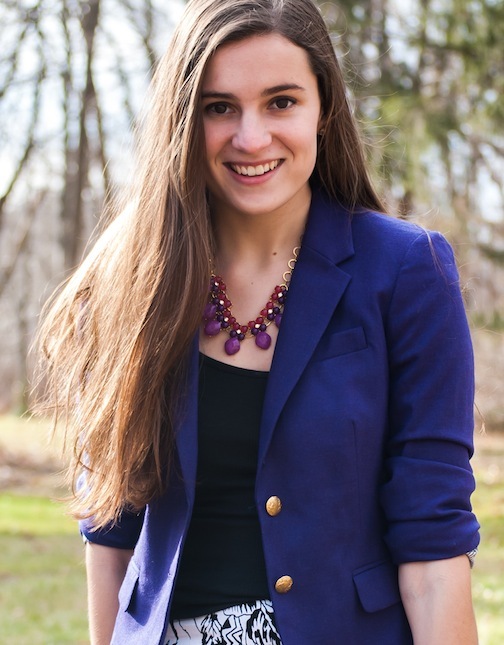 It meant a lot considering how much I absolutely love yours :) You look adorable here and the purple blazer is awesome! Good luck with the writing contest, that sounds amazing!! Funnily enough, my favorite color is purple as well! Since I'm unfortunately not in possession of that many purple things, I must admit that I am a teensy tad bit envious of your purple blazer Rory. You wear it so well though. How can I be anything but happy for your amazing purpleness? Seriously though, I love the purple paired with that gorgeous black and white floralesque print skirt. There's just the right amount of color as well as the right amount of patterned somethingness to make your outfit fabulous. Looking good as always girl! you famous writer!!! so proud :)) i wish it was warm enough to wear this outfit now. i can't deal with such cold weather. I love your outfit-super cute! What a cute outfit, Rory. love the B&W skirt! And congrats on the school nomination! you rock!